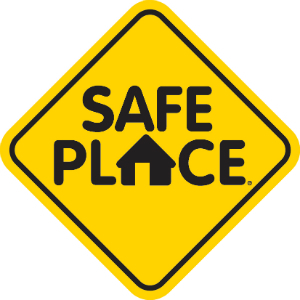 Where are Columbia’s Safe Place sites? Columbia Fire Stations No. 1-9; Blind Boone Community Center; Columbia Housing Authority; Columbia Public Library; Columbia/Boone County Department of Public Health and Human Services; Activity & Recreation Center; Stephens Lake Activity Center; The Armory; Family Counseling Center; Rainbow House; Voluntary Action Center; COMO Youth Works (formerly Youth Empowerment Zone); and, QuikTrip Gas Station. What are some other resources for teens in need? National Runaway Safeline: (800) 786-2929. Call to receive confidential, anonymous, non-judgmental support. IMAlive: IMAlive is a live online network that uses instant messaging to respond to people in crisis. Chat with a certified crisis intervention volunteer. National Suicide Prevention Lifeline: (800) 273-8255. No matter what problems you are dealing with, they want to help you find a reason to keep living. The Trevor Project: (866) 488-7386. 24/7 suicide and crisis prevention helpline for gay and questioning youth. You can also talk via text or chat. Trans Lifeline: (877) 565-8860. A line primarily for transgender people experiencing a crisis. This includes people who may be struggling with their gender identity and are not sure that they are transgender. Teen Line – Teens Helping Teens: Call (800) 852-8336 or text “TEEN” to 839863. If you have a problem or just want to talk with another teen who understands, then this is the right place for you.